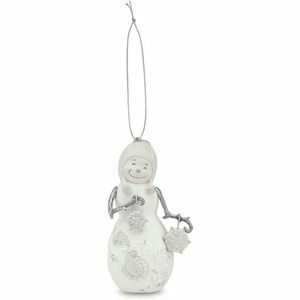 A stunning collection of Winter Snowmen Figurines, Water Globes, Hanging Ornaments and Candle Holders. 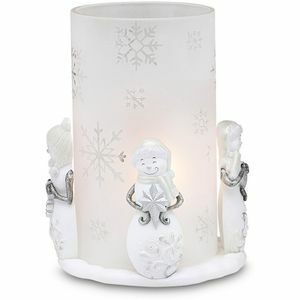 Each is in a beautiful white finish with silver decorative finishing touches. 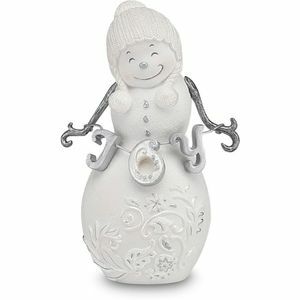 "Perfectly Presented" is an adorable collection of Winter white snowmen. 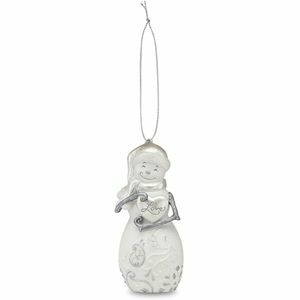 Every snowman is decorated with silver metallic branch-like arms, stunning seasonal patterns and a smile that is sure to melt your heart. 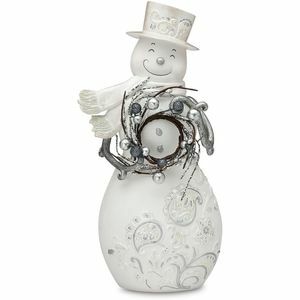 All shimmer with accents of pearl, silver and a touch of sparkling glitter. 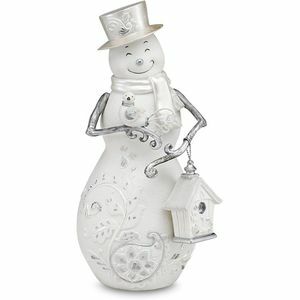 This wonderful collection makes for the perfect addition to any home.